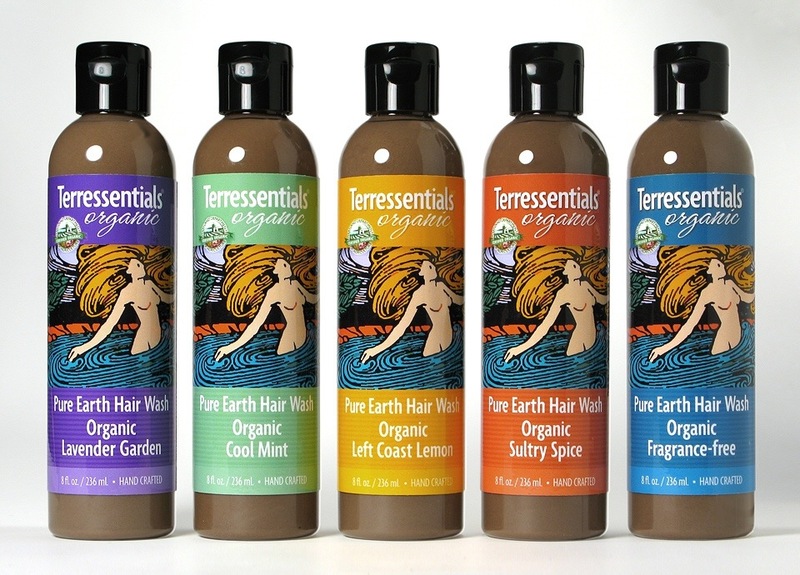 If you’ve been reading this blog for a while, you probably know how much I love Terressentials Organic Pure Earth Hair Wash. If you’ve never heard of Terressentials, it is a USDA certified organic hair wash largely made up of bentonite clay, rhassoul clay, aloe vera juice, marshmallow root, essential oils, and other nourishing ingredients that condition and detoxify the hair. It was created by a small business of the same moniker that specializes in organic beauty products. It’s perfect for folks on the Curly Girl Method (you don’t really have to shampoo your hair with sulfates at the beginning if you use Terressentials instead). I absolutely LOVE the stuff! I never really had to DC or use a rinse-out conditioner when using it. It was pretty moisturizing and softening on its own. My only issue with it is the price; it’s about $11 ($18 or so with S&H) for the regular 8 oz. bottle, which isn’t bad at all. HOWEVER, I need much more product than that. It’s $21 (nearly $30 with tax and shipping) for the big bottle online (16 oz. ), since unfortunately for me, I don’t live near a Terressentials store. To stretch the product and preserve the girth of my wallet, I used to put a little in a bowl and dilute it a bit with water. Despite my attempt at frugality, the longer my hair got, the more I needed to use, the more often I had to buy the hair wash. No matter how much I loved Terressentials, it had become too pricey as a staple. Me being me, I meticulously read through the ingredients and deduced that they were simple enough to create my own mud wash, though not necessarily with all the ingredients in their formula. You may have read a few older posts in which I might have mentioned the many concoctions I mixed in an attempt to create something of a copycat recipe. They involved a plethora of ingredients, such as aloe vera juice, bentonite clay, along with some purely unnecessary ones like cinnamon, ginger, cloves, and eucalyptus oil. While a couple batches were nearly spot on and even made my hair smell like pumpkin pie, which my husband enjoyed, they weren’t perfect and I often had to rinse my hair twice to get all the clay residue out. I originally started with just bentonite and water, eventually adding in the other ingredients, but I soon learned of rhassoul and realized that the original Terressentials ingredient list (they’ve slightly changed it since I first bought a bottle) never specifically mentioned rhassoul, which accounted for its brown color (bentonite is grey so, of course, all my mixtures turned out grey). With this newfound ingredient, I now had the basis for my Terressentials-like clay wash.
Just the other day, I was long overdue for an official wash job (I had done a “quick wash” with my modified SM shea butter shampoo somewhere in between wash days) and I wanted to try mixing the two clays together for my latest experimental recipe, but I was out of aloe vera juice and I was not about to ride all the way out to Whole Foods or GNC to find some. Abandoning my old recipe ingredient list completely for more resourceful constituents, I spooned a small portion of both clay powders into a bowl, brewed and added some organic green tea, a splash of EVOO, threw in a significant amount of a Suave Naturals conditioner I had bought as an alternative to my usual scent/flavor, but didn’t really care for to make up for the lack of aloe vera, and hoped for the best. While I didn’t enjoy the smell the conditioner gave it (something like a cheap dollar store oranges and creme room freshener bleh), I must say that this concoction was, by far, the best. This clay mix was equally cleansing as, but conditioned better than Terressentials, it just lacked the scents I love. I’m thinking about purchasing some essential oils to combine into my own fragrance, but I’ll use my coconut SN instead of the mango mandarin scent *grimace*. I think Awapuhi and jasmine might mix well, or lemon and rose, or vanilla and almond, or even ginger and sandalwood. Oh the yummy possibilities! I detangled with my spritz as a “pre-poo” then washed my curls with my clay mixture. The actual washing process was done in a little over an hour and a half. I think that is partially due to the fact that while rinsing the clay wash out, I combined the twists I put in for detangling to make medium-large twists as opposed to the usual individual wash and rinse of the medium-small twists. When I was done, I squeezed the excess water out with a big sheet of stretch cotton fabric, unraveled and spritzed each twist, smoothed Eco Styler through, and re-twisted to do a twist-n-blow (how I describe my quicker, no-hassle, heat-free, tangle-free method of doing a wash-n-go). I was going out the night I washed my hair and to say I had only four hours to wash and style my hair, get dressed, and do my makeup, it had to have been a personal record for me to complete my hair that quickly. I didn’t even have to separate the curls to give it volume, just unraveled while the twists were still wet in the middle and let it dry. I think I have revolutionized the wash-n-go so that the process once more plays out as simply, timely, and smoothly as it sounds. I’m quite pleased with myself. I got to enjoy my hair being out for a few hours that night and then went straight into a pineapple on the way home. I enjoyed another day with my ends out in the pineapple and then straight into the huge bun it’s in now. I have restricted myself to wearing my hair down only when something special is going on; a holiday, a night on the town with friends, or other special occasion. Then, I’ll allow an extra day with my ends out, but off my shoulders. Other than that, I’m still going strong with the protective styles. In fact, I’ve got an idea for a hairstyle tutorial. I’ll call it “Halo,” if I can manage it. That’s all I’ve got for you today, kids! Peace & Love. P.S. Somebody should really get on me about not taking enough pictures of my hair for these posts. I have really got to visually document better.